I dont think so, its a philosophy. You have to change the way the sidepods work. Also, you will need to redo the side impact testing to make sure the sidepods can handle a side crash. Its not easy to copy, I think. Ya I agree. 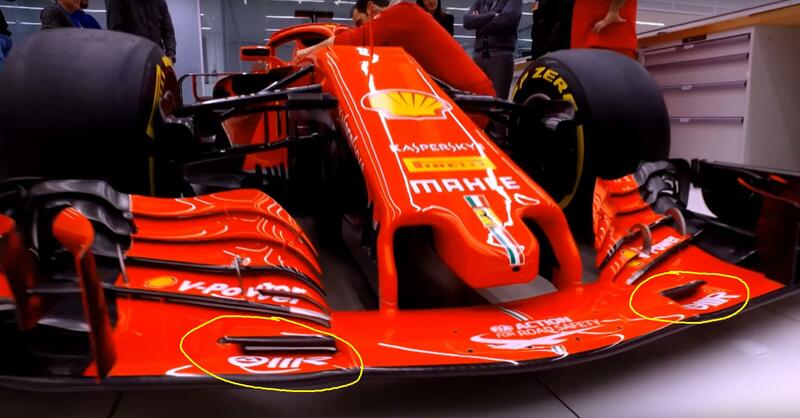 Looks like most teams have copied Ferrari's high air intakes and now Ferrari have moved the bar even higher. Nice to see other teams chasing us. Gary Anderson cant tell an innovation even if he invented it. That guy has no idea. I was comparing the last years car to this year, we have a slimmer side pods, it will help the car create a lot of downforce and a lot less drag. Every mm in width you can reduce is less drag. The sidepods are a cm or two hugher than before, but its ok, as this is the place where the air is flowing higher due to the front wing. Our sidepods will help us to get better top end speed. Our car has slimmer rear end. Our car has a shorter wheelbase than Mercedes by about 3 or 4 cm. Our suspension system, will give us better mechanical grip, as the controll arms are angled more steeply, it also helps to direct the downforce toward the contact patch. The mercedes has less steep angles for the suspension, thats why they have problems in slower tracs like Monaco and Hungary. Our car has the most details. Our engineers put a lot of thought and you can see a lot of intricate details. Gary Anderson just a Hamilton fanboy and a Ferrari hater. He is just pulling for England. Ha with the new software rule Mercedes and Ferrari need to supply the same software to the others so no more Q3 speed boost :). Holy cow. 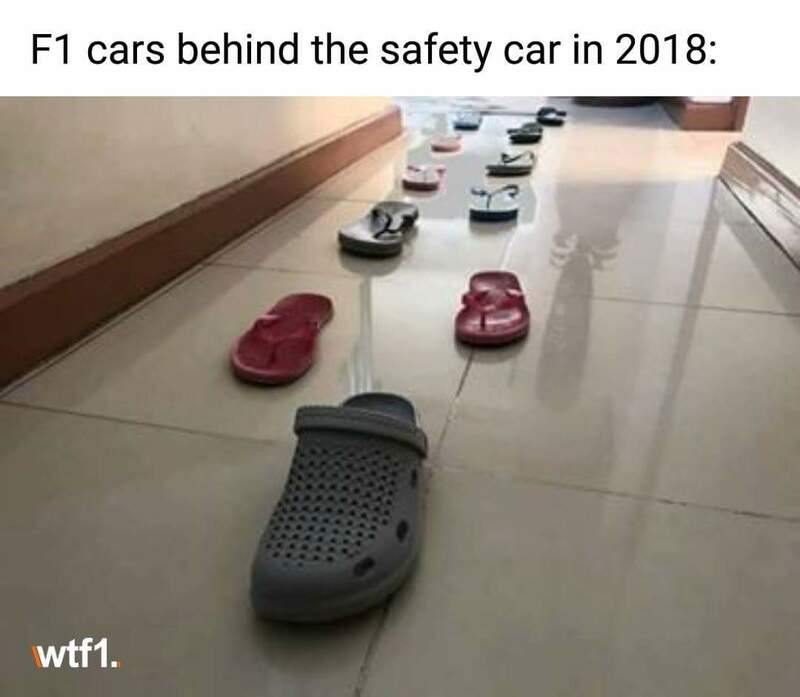 The yellow car is hideous. Your comparing this innovation to the 2010 ban??? Our car looks pretty bare tbh.. Teams always bring to Australia a somewhat modified car in comparison to the presentation one(to hide their innovations as long as possible, so others dont copy it faster). Elsewhere I love the look, more red and less white is the way to go in my opinion, and it looks pretty tight and compact, which is always good. Those side profile images make the barge-board and front of the side-pod areas look very intricate compared to the Merc and Mclaren, let's hope they work as expected. Although the dark colour on the Merc may be hiding some detail, ours still seems to be more elaborate. It is not a true picture. The camera angle are not the same. Plus, the front end height is set by rules and only the sidepods can be raised. The center of gravity depends on the the heavier gubins inside, it has a much more of an influence. outside appearance does not tell you about cg. Another thing, this is just the launch, not race setup! Narrow is good, less drag. DIEK, I know its not you, but I swear these guys when they do a side by side comparison they need to get the scale down right. Maybe its them "cutting and pasting" and then doing all the vertical bars for comparisons but the ACTUAL PICS from both cars are of different camera angles, distance, etc. 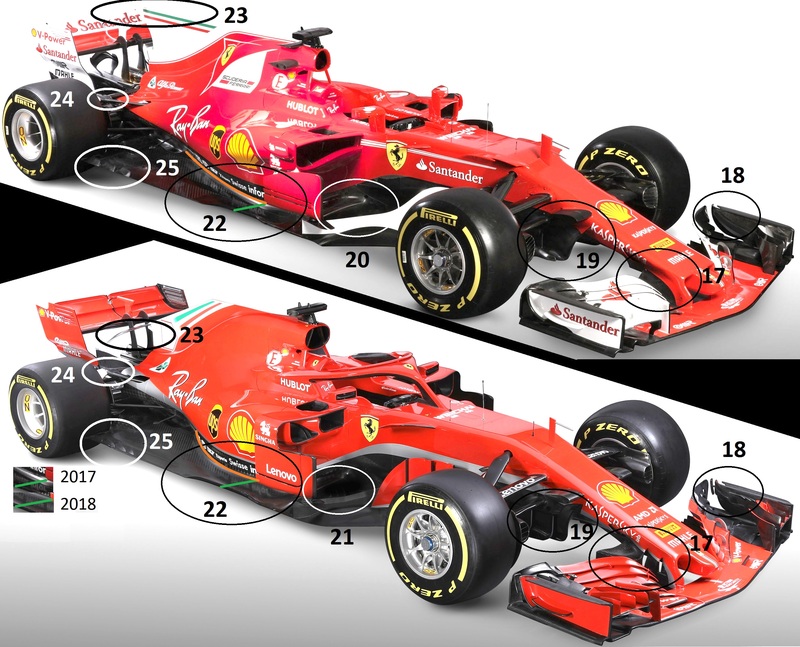 Look at that front wing (2018) vs. the front wing (2017)....there is no way that '18 car is 6 plus inches (sorry, stateside) LONGER than the '17 car which THEN throws those vertical lines off when making this comparison WHOMEVER the illustrator was. 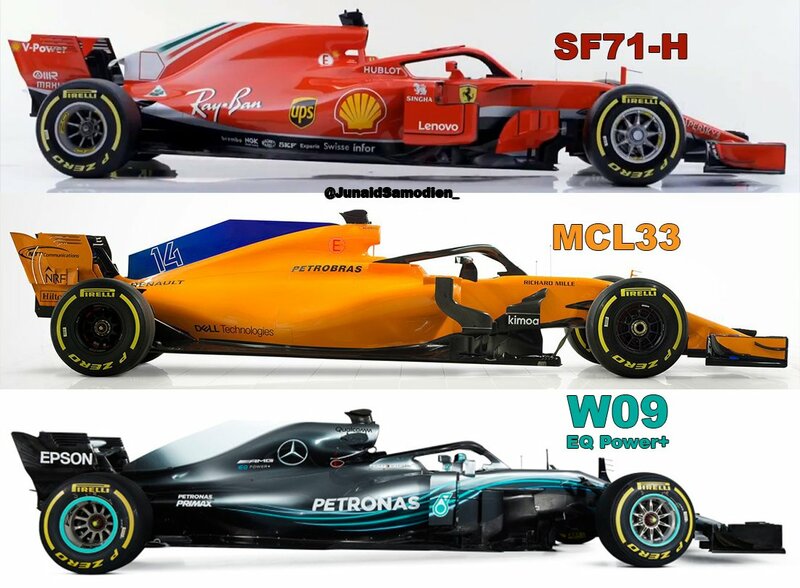 I saw the one pic (center of gravity) with the 18 car and the W09 and that illustration (not saying its the guy who posted its fault) was a gross misrepresentation of both cars. You are absolutely right, they are comparisons made in a hurry by fans with the photos they have at the moment. I leave this here, which seems a little better. No it does not. It is re-directing air as a cooling device. What happened in 2010 with the F60 was they used the side-pods aero and mounted mirrors on them. So the FIA banned this.